Angel Cabrera Latorre (1879 - 1960) was a Spanish-Argentinian zoologist and paleontologist. He was born in Madrid in 1879 and emigrated to Argentina, becoming an Argentinian citizen in 1925. Cabrera worked at the National Museum of Natural Sciences in Madrid from 1902 until 1925. He specialised in mammalian anatomy and led scientific expeditions to Rif in 1919 and Western Morocco in 1921. He also participated in 1923 in another expedition to the western part of the Spanish Protectorate in Morocco which was was led by Royal Navy Admiral H. Lynes. He published Fauna Ibérica; Mamíferos in 1914 which included his own illustrations. 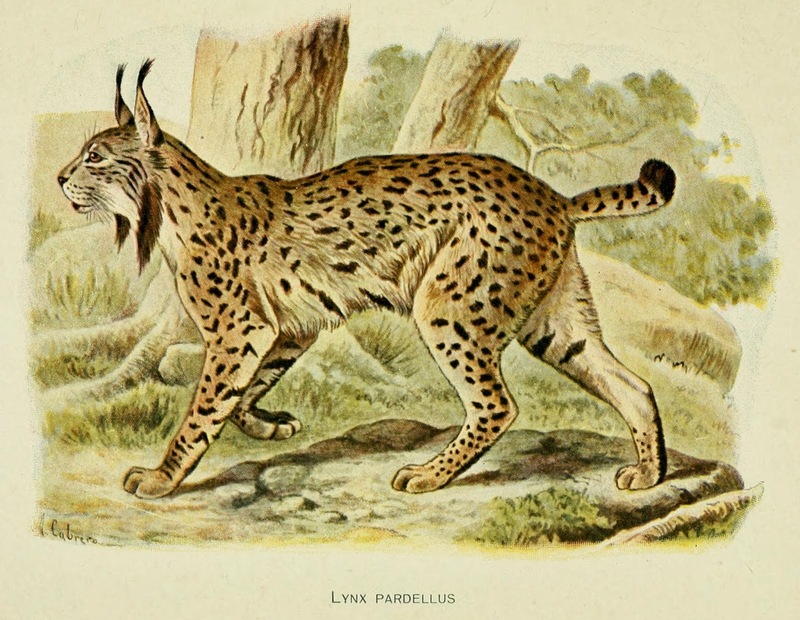 The book is available HERE and an illustration of a Lynx from that volume is below. Cabrera emigrated to Argentina in 1925 and became an Argentine citizen that year. He worked at the Institute of the Museum of La Plata as head of paleontology. From 1930 he was professor at the Faculty of Agronomy and Veterinary Medicine, University of Buenos Aires. He studied fossil fauna of Argentina including Megatherium, cetaceans, deer, camelids, Jaguars and marsupials. Cabrera also discovered the first Jurassic era dinosaur of South America in Patagonia. Cabrera published extensively, including 27 books, over 200 scientific publications and more than 400 articles in national and international journals. 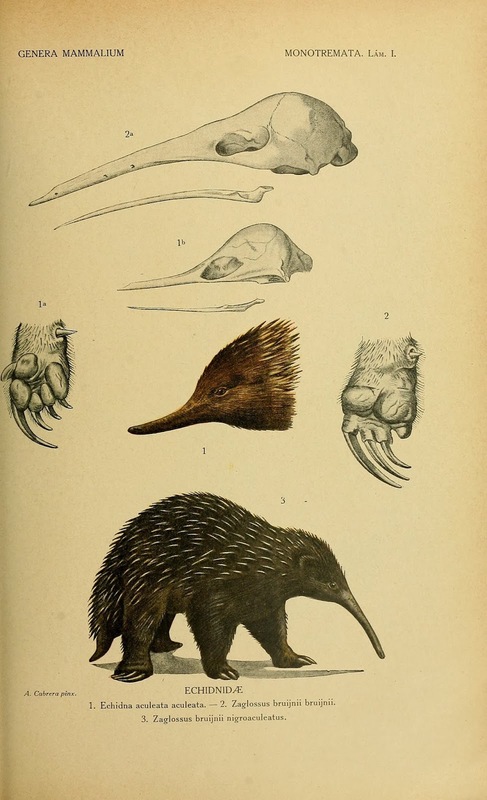 Cabrera was a gifted scientific illustrator, often illustrating his own work and that of his colleagues. In 1932 Cabrera published a paper on ecological incompatibility; La incompatibilidad ecologica una ley biologica interesante. Am. Soc. Cient. Argentina, 114(5/6) :243-260. (Biol.Abst. ), that Ed Ricketts read and applied to the marine ecology he saw around him on the Monterrey peninsula. In the preface to his classic Between Pacific Tides Ricketts wrote a short Zoological Introduction that refers to this law; "In the same locality... directly related animal forms always occupy different habitats or ecological stations... Related animal forms are ecologically incompatible, and the incompatability is the more profound the more directly they are related." The marine biologist Joel Hedgepath described it as a startling perception.